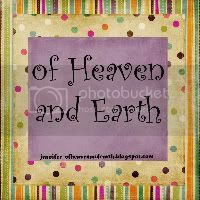 My thoughts on a little bit of everthing between Heaven and Earth. We will be singing "In Christ Alone" this Sunday at my church, and the words to the first verse have been continually running through my head and heart since we rehearsed it Wed night. My comforter, my All in all, here in the love of Christ I stand." When we've sung this song in the past, I've always relished the last 2 verses. (Really, though, every single verse in this song is completely awesome and SO powerful.) But after this past year, this first verse stands out to me the most. My hope is not found in my family, in circumstances going the way I want them to, or even in whether God answers my prayers the way I want Him to. My hope and your hope is found IN CHRIST. ALONE. The word "hope" is a weird word to me, that I often confuse with faith. It's also a very important & meaningful word to me. My middle name is Hope. We buried Rusty in the "Garden of Hope". The passage Kevin shared with me the day after Rusty died that I have clung to ever since is Lamentations 3:21 - 33. That first verse says, "This I recall to mind, therefore I have HOPE" (emphasis mine). I could be wrong, but here's how I think of hope versus faith. Faith is the unbreakable assurance that all God's promises are true. Sometimes, though, storms come and shake our faith. The waves get so big that it's hard to fix our eyes on the Author and Finisher of our faith, and we get tempted to look down at the waves instead. I think hope is that expectation that keeps us looking in the direction we last saw faith. Faith is the beacon shining from the lighthouse. Hope is the instinct that compels us forward into the storm, in the direction we last remember seeing the light shining, even when we can't see a thing and all we can feel is pain and confusion. When people lose all hope, like my brother did, they fall under the storm-ravaged waves. Faith never stopped shining as a beacon, but they lost the expectation (or hope) of ever finding it again and they lost their bearings. But just as Christ is the Author and Finisher or Perfecter of our faith, this song reminds us that He is also our only source of hope. He is steadfast even through the fiercest storm. The heights of His love for us are limitless. The depths of His peace are unfathomable. When we cling to Him alone as our source of hope, our fears are stilled, and our strivings cease. For me, it makes me stop striving to figure out the answers to all my questions about Rusty's death. It makes me stop wrestling with God's sovereignty, and to be still and rest in His comfort and love. I'm tempted to say, "I can't stop and rest now! I have to keep my hand on the tiller. I have to control the rudder and make sure this vessel is heading the direction I want it to." But Jesus is the Captain. He's at the helm. If I let go and rest in Him, and put my hope in Him alone, I will find that He always, ALWAYS guides me safely to the harbor He has prepared for me. So what are you putting your hope in today? Are you ready to let it go and cling to Jesus alone? I can promise you it's always the best choice. I’ve been dreading this day - your first birthday without you. And try to make plans to take you to dinner. But you’re not here, and we don’t know what to do. when what weighs on our minds is the day of your death? But then I remember - since you’re not here, it means you’re in Heaven. But on the blessed assurance that you belong to Jesus. You called on Him to save you, and said how much you loved Him. So what birthday plans do they have in Heaven? Or is everyday so amazing, that a birthday would only get in the way? the day you were born into Eternity? For us, it will be a hard day. For you, it will be the best day. You can’t beat birthdays in Heaven. Your first birthday with no sorrow, no regret, no disappointment. But you get to spend the day with Jesus. You’re experiencing everything you were created to enjoy. So while we are sad, wishing to see your face again. And that this year your gift is that you’re finally free. Because you’re spending your first birthday in Heaven. Two months ago today since Rusty died...It doesn't seem possible that it's been 2 months. They say time heals all wounds. Really, only God can heal those wounds. And He is, and I'm thankful. But the thought I had today is that time only seems to be mocking our loss. Part of me feels guilty for moving on, and leaving that horrible night in the past. I do realize it's still really early in this journey of grief, and I probably don't really know what I'm talking about compared with those who have been down a similar path. But there's just this part of me that keeps thinking, "Wait! Time, please stop or slow down or something. I need to stay here and try to make sense of what has happened. I need to do his memory justice. I'm not ready to move forward." Yet, time just keeps passing along, refusing to acknowledge my loss, my pain, or my confusion. And just how, exactly, does Time expect to "heal my wounds" when the more time that passes, the more I realize how much I miss my brother? And there's already been some of the dreaded "holiday" or special family moments that have come about as a result of Time's unrelenting persistence to keep marching forward: Easter, Mother's Day, David's Kindergarten graduation. That last one was the hardest for me. I kept thinking, "I'm not ready to do this without Rusty! I want Time to just not make me go there yet!" But Time didn't listen or care. It dragged me through each of those painful events anyway. Oh, and just for kicks, this year Rusty's birthday will be on Thanksgiving. Double whammy. On the other hand, though, I'm also ready to be done with this deep grieving process. Everyone says the first year is the hardest, and so I'm ready to be past that. I think this is the selfish side of me. Or the part that wants to escape the reality of Rusty's death. I keep thinking I want to volunteer and get involved with a couple of ministries that are near and dear to my heart - and ones that I believe God is calling me to be involved in at some point. But a couple of weeks ago when I discussed it with a mentor who happens to be over both ministries, he told me I'm not ready - that I'm too vulnerable right now, and that I need to give myself more time to heal. Part of me is afraid that as I stay here and learn how to heal from this grief, this trauma, those ministry opportunities will pass me by. I know that's a lie, and that if God really is calling me to those ministries, then His timing will be perfect. Ah, but I just stumbled on the truth of the matter. God's timing. Time isn't Sovereign. God is. Time is merely His tool to accomplish His purposes. I just read this week in Isaiah 38 about God giving Hezekiah more time, and as proof of His promise, He made the sun move backward - completely displaying His power and authority over Time itself. The next day I read the famous passage from Ezekiel 3 about there is a time for everything. I need those reminders. When I'm fighting against Time moving on or not moving quickly enough, I'm really fighting God's Sovereign plan and control over my life. He could stop time, if that was what would be best for me. He could fast forward us all into next year, but I'm sure I would miss the wonderful things I will learn from Him and about Him in the midst of the hardest moments. So I have a choice to make: continue to fight against time and all the ways it isn't working for me, or to recognize that all of this happened and is happening by God's will, and that there is a plan in all of it for my family and me. For our good and His glory. I can choose to rest in the Lord or I can continue to wrestle. Bottom line: I can choose to release control to Him, or I can hold onto my illusion of control until my knuckles turn white. And so tonight, I choose to "cease striving and know that He is God." (from Ps. 46:10) I choose to trust that His timing is perfect. So we made it through our first "holiday" since Rusty died. For me, it had it's sad moments. It wasn't as hard as it could have been simply because I don't have a lot of recent memories of Rusty related to Easter. We just always ended up doing different things that day. However, there were several times, especially watching the kids hunt for eggs, that I got teary-eyed thinking how much he would have enjoyed watching them and how he would have added another whole level of fun. I kept hearing his voice run through my head, and picturing his awesome smile as if he had been there with us. My mom had a much harder day. One reason is because at her church, they sang "Because He Lives". That was the song God gave her when Rusty was born with a brain hemorrhage, and we sang it at his funeral. I cannot imagine how heart-breaking that was for her. Poor Momma. Tonight, Mom, Hugh (my step-dad), and I went to Briarwood Presbyterian Church to watch their Easter performance of "Saviour". It's a modern oratorio (lots of music). They had a full choir and orchestra, and ballet dancers. It was beautiful! I cried during the first song, called, "My Heart Belongs to You". It's basically a love song between God and Adam. One of the lines that stood out to me is of "God" singing: The message of My song will always be true: My heart belongs to you." By the end of the song, Adam is singing it in response back to God. It's gorgeous. And it made me see God's love for mankind in a fresh way. He created us so that He could give His heart to us. And then, when Adam and Eve chose sin, not only did we lose that intimate relationship with God, but He lost it with us. We always focus on what Man lost that day, but what about what God lost that day? He lost His love - the one He had given His heart to. That relationship was ripped away from Him, suddenly, violently - like losing someone to death. You see, I've been listening to a lie recently. A lie that said that God doesn't really know how I feel. He hasn't really lost someone to death like I have. Yes, His Son suffered and died, and I know that was heart-wrenching, but He knew that in 3 days, He would be alive again. Part of what makes losing Rusty so hard is just that thought of all the time it will probably take before I see him again. That not knowing a time reference is so frustrating to me. And so I thought that God couldn't relate to that part of grief - the seemingly endless longing. But that song tonight made me realize how wrong I was. When sin came, God experienced profound loss. Us. And even though He already had a plan in place to redeem us, He knew it would be millennia before that redemption would be fully realized and He would once again enjoy intimate, unbroken relationship with the ones He had created to give His heart to. How heartbroken He must have been. How much must He long for us even now? Yes, once we are saved we have a measure of relationship with Him, but it's not like it was in the Garden - walking side by side; talking face to face. Since Rusty died, I've been pondering the story of Lazarus. In one of the verses, it says Jesus was very troubled. (It's a few verses before the famous "Jesus wept" verse.) I've always wondered why. I know people have taught that He was troubled because of how grieved Mary and Martha were, and I agree with that. But I've always thought there was more to it. Could it be that seeing them grieving the loss of their brother reminded Him of His own loss at the Fall? Could it be that He was very troubled because the God-head part of Him was missing us - grieving the loss of relationship He had so enjoyed in the Garden? Part of me is having a hard time wrapping my mind around the fact that He really does love me that much. He is passionate for us, and He loves us with an everlasting love! And, the truth is, He knows EXACTLY how I feel. Because He has felt that same way. About me. And about you. He misses you, especially if you don't know Jesus. He is grieving over your separation from Him. So many people have told me since Rusty died that they wish they could do something to help. Well, there is a way to help God. You can come to Him. Receive Him as your Savior and Lord. Begin the journey of being restored to that perfect relationship with Him. So that one day, we can once again walk with God in the cool of the day. And Rusty will be right there with us, too. Today is a very special day to me, because one year ago today, I met Jesus. No, not in a salvation-experience kind of way, but in a face-to-face kind of way. And it changed my life. One night in late March or early April of 2010, something prompted me to pray, "Jesus, I know I will see You and see Your face and feel Your arms around me one day. But if there is any way at all for me to feel your arms embrace me and to see Your face on this side of Heaven, then please let me!" As soon as I prayed it, I thought to myself that it was the most ridiculous thing to pray. I didn't think I had any faith for that prayer to be answered, and I promptly forgot about it within a couple of days. Fast forward from that point 3 weeks. I was on a vacation in Gatlinburg with just Preston. It was wonderful. One afternoon, we went to see "The Miracle" at the Miracle Theater in Pigeon Forge. It's a live musical stage-production of the life of Christ - told in part from Lucifer's (Satan's) perspective. (That may sound hokey, but trust me, it's not.) It was SO powerful. One of the things that struck me throughout the whole show was the guy who played Jesus seemed SO much like Jesus. It seemed to be more than just excellent acting. It was like an anointing was on him. The light and the love that radiated from that man was just...incredible! I kept thinking, "Man, I sure would like to meet him. Just to see what he's like out of character." Well, at the intermission, they announced that the cast would be in the lobby after the show. I was excited - and nervous for some reason. So after the show, which was in and of itself such an inspiring and faith-building experience, Preston and I head out to the lobby to meet the cast. We met Judas, Nicodemus, the Pharisees, an angel, but then there was Jesus. There was a line to see him. I was the last one in the line. I was really nervous, so nervous that I almost decided not to meet him. And I wasn't sure why I was so nervous. The elderly lady in front of me asked him how he played Jesus so well. He replied that he prayed every time that he could empty himself and let the Holy Spirit just completely fill him and flow out of him. She asked for a hug, which he gladly gave. It was a really sweet interaction to watch. When I saw her ask for a hug, though, I thought, "Ah! Maybe I could ask for a hug too! But do I have the nerve? I mean, I'm a complete stranger to this guy, and I'm not good at hugging the guys I do know in my life, much less strangers." But, ultimately I knew that if I didn't ask for the hug, I would regret it. Then, it was my turn. He smiled and said hi, and I asked if I could please have a hug. He gave a gentle laugh and said sure. (all of this was so like Jesus.) He came around the little podium that they had him stand behind to sign CDs and things, and gave me a firm, but gentle hug. As his arms wrapped around me, and I felt his robe against my face, I remembered my "ridiculous" prayer from 3 weeks ago, and I knew that God was giving me my hearts' desire. He was saying "yes" to my prayer in that very moment. As he released me, I looked up into his face, and told him about my prayer and how God had just used him to answer that prayer. He got tears in his eyes, smiled even bigger, and hugged me again - and held me for a few moments while he prayed for me! It was the most incredible experience of my life! There was no doubt in my mind that God had orchestrated that moment, and the Holy Spirit had so filled that man (David M. Sanborn. Google him), that he was like Jesus to me. It was a holy moment that changed me forever. I left there shaking, crying, and laughing. I could not believe what had just happened. I had just seen Jesus. I was overwhelmed by the realization of how much God loved me to have done that for me. As an intercessor, I'm used to seeing Jesus move in response to prayers about other people. But to answer a prayer that was just for me was so intimate and so loving. So extravagant. "Meeting Jesus" changed me. It made me see Jesus in a much more personal way. It made my prayer time with Him that much sweeter. He truly became my Companion as I desired to walk with Him. I started learning how to really die to myself, which included laying down some things that were very precious to me - like the prayer ministry I was leading for our worship ministry's leadership. I also started recognizing Jesus in other people better. I can't think of a better way to encourage someone than by telling them, "You remind me of Jesus." And of course, here we are a year later, and I'm dealing with my brother's death through the truth that I have of how much Jesus loves me. Ironically, Rusty was one of the first people I told about my "meeting Jesus" experience. I had no idea that less than a year later, he would really be meeting Jesus. In fact, one night right after Rusty died, I was putting my daughter to bed, and she asked me to sing her favorite song, "Jesus Loves Me". As I sang the chorus, I could feel Jesus' arms wrapped around me once again, holding me, as if He were singing it over me. I recognize now that one of the reasons He gave me that moment, was to prepare me for this season of grief and loss. I cherish that precious truth that Jesus loves me, more than I can fathom. His grace IS sufficient for me. He is my All in all. He is my shield and my portion forever. I was talking to my Sunday School teacher today via email. (He's one of the best SS teachers around.) He was letting me know he was praying for me and our family still. I'm betting he was a tad concerned for me because I was a mess at church yesterday. As we were discussing what grief is like, I had this analogy come to me that I thought was rather beautiful (if I do say so myself) and very accurate. And I thought, "Oh! I need to blog about this!" Most of us have heard about the stages of grief. I think there's denial, anger, depression...and I can't remember the others. So far I've definitely experienced those three. I remember at the funeral I kept telling people, "This is wrong. We are not supposed to be here. My brother is NOT supposed to be in that casket." The day after the funeral I went back to the grave and just stood there, staring at it, trying to make it sink in. But it wouldn't. That's denial. For me anyway. The next day at church, anger hit me full force. I wasn't mad at Rusty. I was mad at God, not so much for allowing Rusty to die, but for allowing all the other stuff to happen that made it that much harder. (We had a couple of people show up acting like complete idiots at the funeral, among other things. )I was angry for a lot of reasons. My pastor talked to me that morning, and I said everything one should probably not say to one's pastor: "I'm angry at God; I'm angry at all the stupid people that come out of the woodwork during something like this; I don't care if my anger hurts them. And, just to top it all off: I can't pray." He was very loving, but also helped me understand why you can't stay in that place of anger. You have to choose to move from it. Then there was depression. My least favorite stage. At least with anger you feel something. With depression, you just feel numb, listless, you don't care about anything. In the past, I had to be on medicine for depression, and so I recognized that stage as soon as I got there. I didn't care what I looked like. I didn't care about getting the kids school work done. I just didn't care about anything. And I couldn't cry. That was the worst part. I wanted to cry, and I knew I needed to, but I couldn't. It was like a dam was holding back the tears. But what I'm discovering is that they're not stages that are set in order. And just because I was angry 2 weeks ago doesn't mean I'm done with it. In fact, yesterday I had to deal with anger all over again. Just because I seem to be doing well this week does not mean I'm on the uphill path from now on. No, what I have discovered is that grief comes in waves. The initial wave hits you at the moment of impact. For me, the moment my mom's words sunk in over the phone "Rusty's dead." was my moment of impact. For a moment, it loomed up in front of me, very large and terrifying, and then it crashed down over me and all around me, engulfing everything near and dear to me. In those first few days, that initial wave was all-consuming. I couldn't find my footing in the aftermath of that wave. If it had not been for the support of our friends and church families in those first days, we would not have been able to keep our heads above water. The waves right after that all hit you with a cold, sharp impact that can take your breath away. But then, the waters ebb. The waves seem to stop. You're still standing in waist-deep water that you have to slog through, but at least you're able to gain your footing. You can take a deep breath. Maybe you're going to make it after all. But now, 4 weeks later (gosh, can it really already be 4 weeks? How is that possible? ), what I'm learning is that the waves still come. Sometimes they come one right after another. Sometimes they are spread out. Some of the waves are small and gently wash over you - you feel it's presence, but it's almost a comforting grief. (There's an oxymoron. But really, if you've lost a loved one, in those moments of acceptance of what's happened, you want to be sad. They are worth grieving over, and knowing that you're still feeling that is, in a way, comforting. It's sort of like a reassurance of the bond you had with them. )Other waves are strong and hit hard, knocking you off your feet all over again. Anything can trigger these waves - whether it's a memory of the one you've lost, or suddenly realizing a particular dream has died with that person, or even just a disappointment that has nothing at all to do with your loss. From last Thursday through Sunday, I was having a succession of those hard waves that knock you off your feet. By Sunday, I was a wreck and cried more that day than any other day since Rusty died, I think. Then today, just as suddenly, those waves have subsided, and I'm trying to slog through just the "regular" grief. But here's what I know. My Jesus has authority over these waves. He will not let them consume me when they wash over me. In fact, if I let Him, He may even teach me how to walk on them. It will be 3 weeks ago tomorrow that my youngest brother took his life. I've blogged about the details of that night, but haven't been able to post it yet. I don't know that I ever will. It was just good for me to get it out of my head and down on "paper". The week after it happened, I met with my worship pastor/friend to help sort through some of my emotions and thoughts. One of the things he pointed out was that I was struggling with the fact that I couldn't control what happened, and I can't control the grief process. He talked about how an intercessor can fall into the delusion that they can control things through their prayers, and I especially thought I could protect my family by praying for them. He was exactly right. And it made me mad. On some level, though, the truth of what he said sunk in, and I have been pondering it ever since. I keep playing through my mind the phone call where Mom told me Rusty was dead. It took a minute for it to sink in, but then the wave of heartbreak and grief flooded over me. I knew there had been some initial thought that hit me just before that wave did. As I've sorted through everything as best as I can, I remember what that thought was. "I can't fix this." Usually, when any family member called with a crisis, I would immediately start trying to figure out how to fix it. And I usually had good solutions. But this time, there was absolutely nothing I could do to fix it. Rusty was gone. My mom was experiencing the worst pain any parent could experience. And all I could do was cry with her. But in recent days, I've heard the most wonderful thought being spoken into my spirit: "I've already fixed this." You see, Rusty's suicide did not take God by surprise. And He truly had made every provision for it. In Sept of 2009, Rusty had prayed with my pastor to receive Jesus as his Savior. Jesus "fixed this" when He died for Rusty on the cross, and defeated death and the grave when He rose from the dead on the third day! Jesus is the solution to my brother's death, and to our grief. And I can say with boldness: Death, where is your victory? Grave, where is your sting? So, the fact is, I couldn't fix this. I can't fix this. But, the TRUTH is, I don't have to, because God already did. Praise the Lord!! I am a woman blessed with a loving husband, 3 beautiful children, and loyal friends. My life's goal is to live for Christ, to be in Christ, for His glory. I am a long way from where I want to be, but God is taking me one baby step at a time to the destiny He has for me. And He will do the same for you if you just ask.